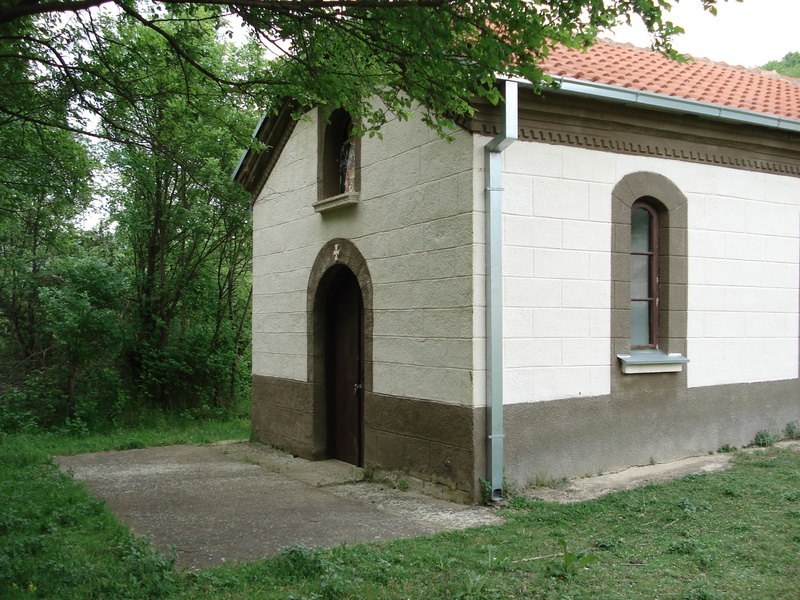 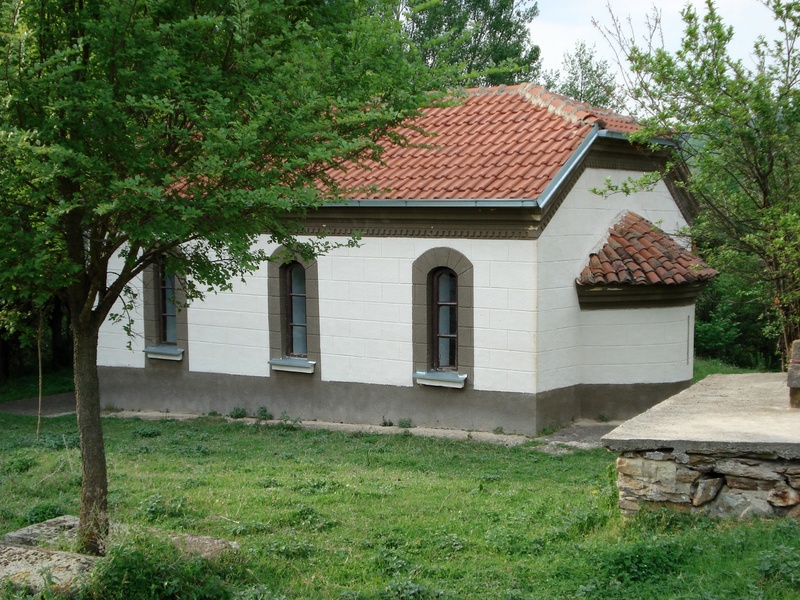 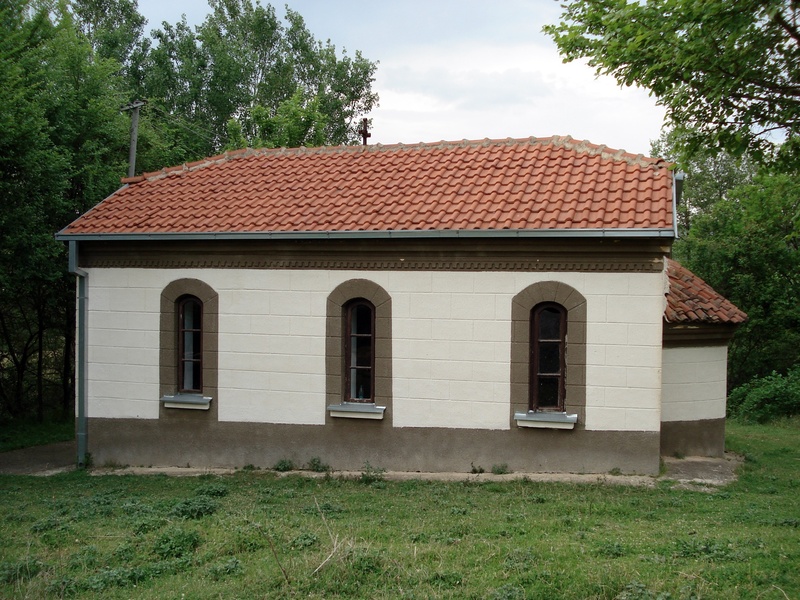 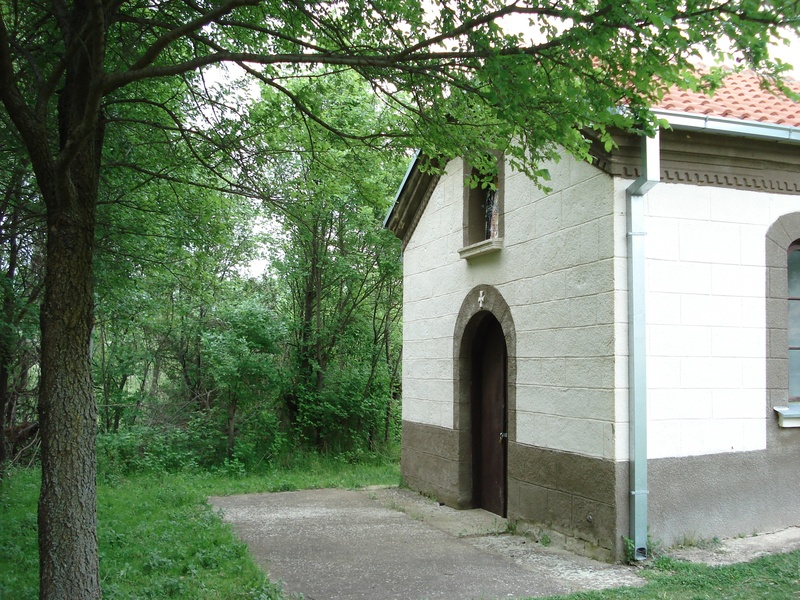 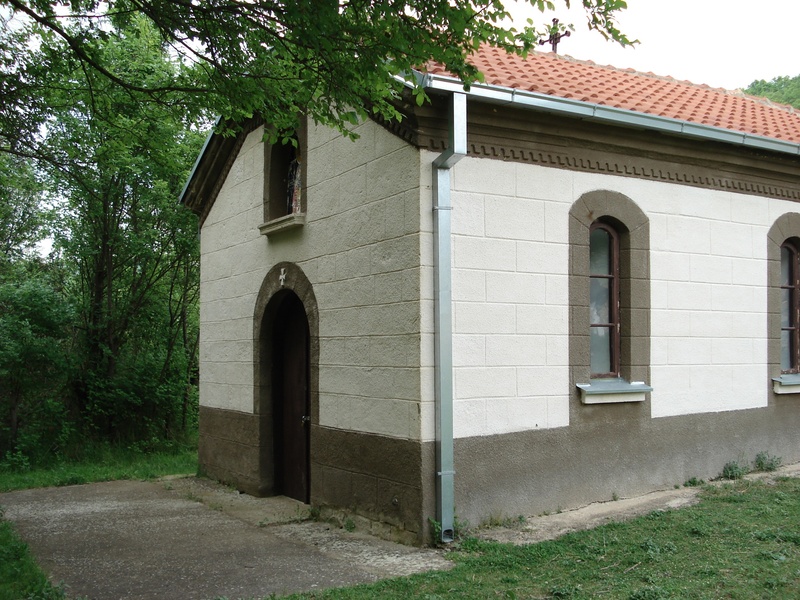 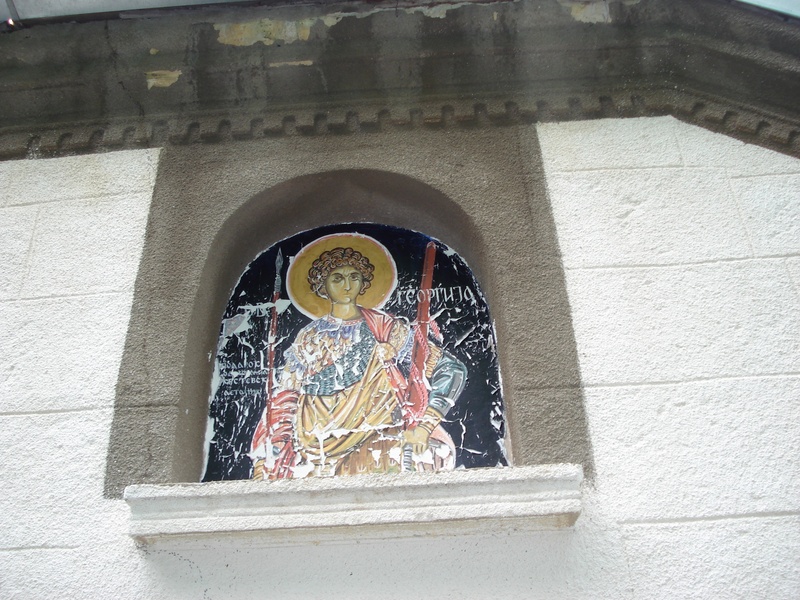 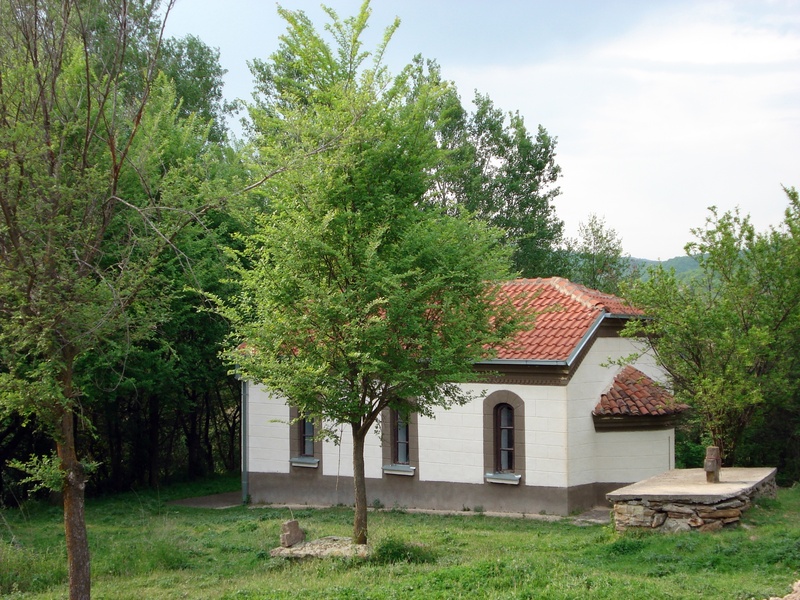 This chapel dedicated to St. George is located in the ASNOM Memorial Park in the village of Pelince. 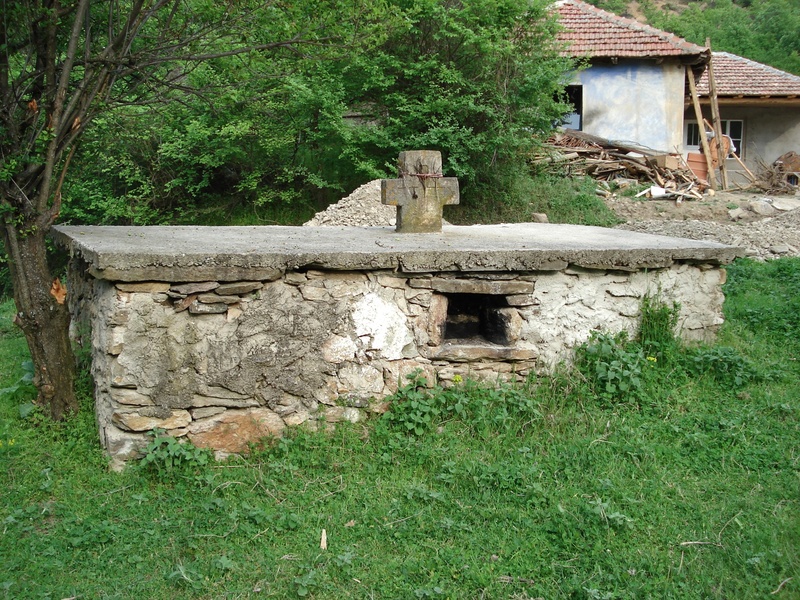 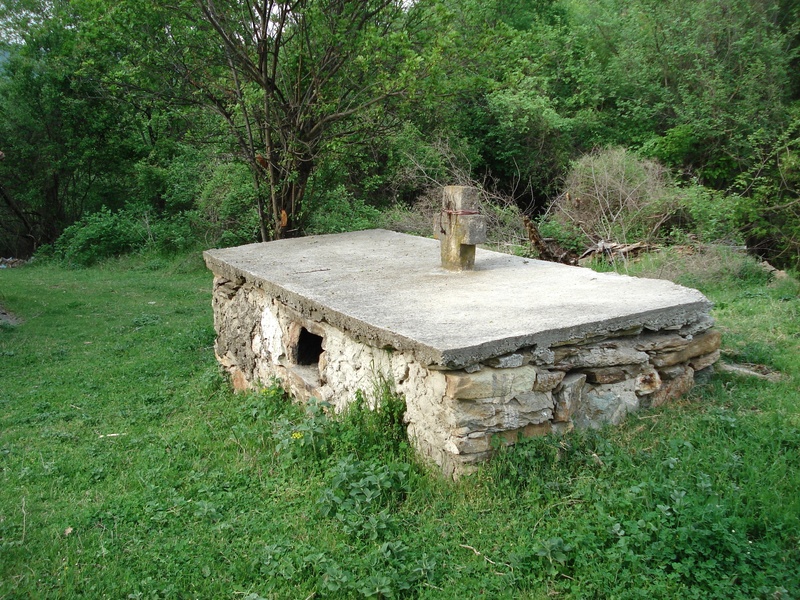 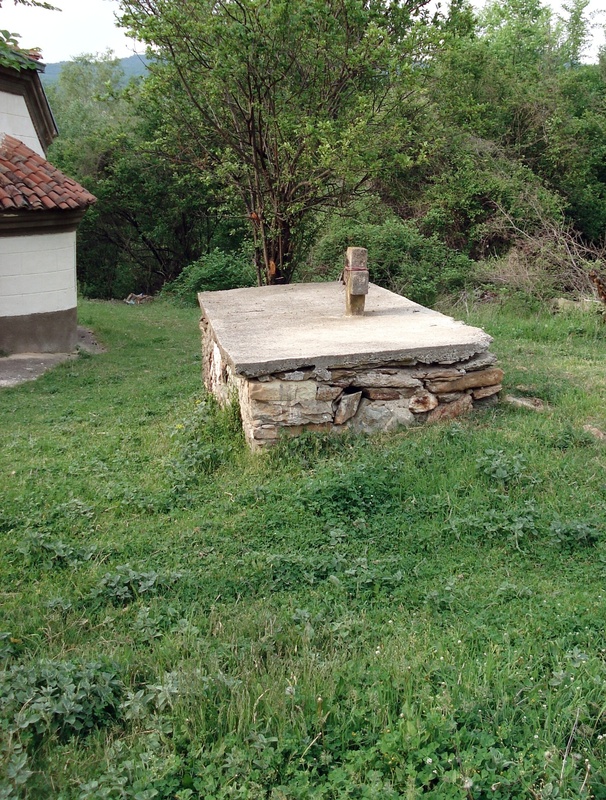 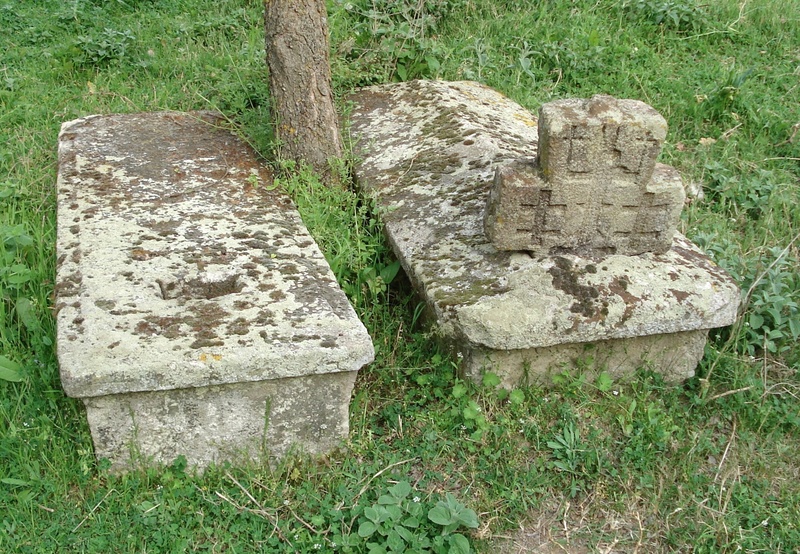 Pelince is about 27 kilometers north of Kumanovo on route R1207. 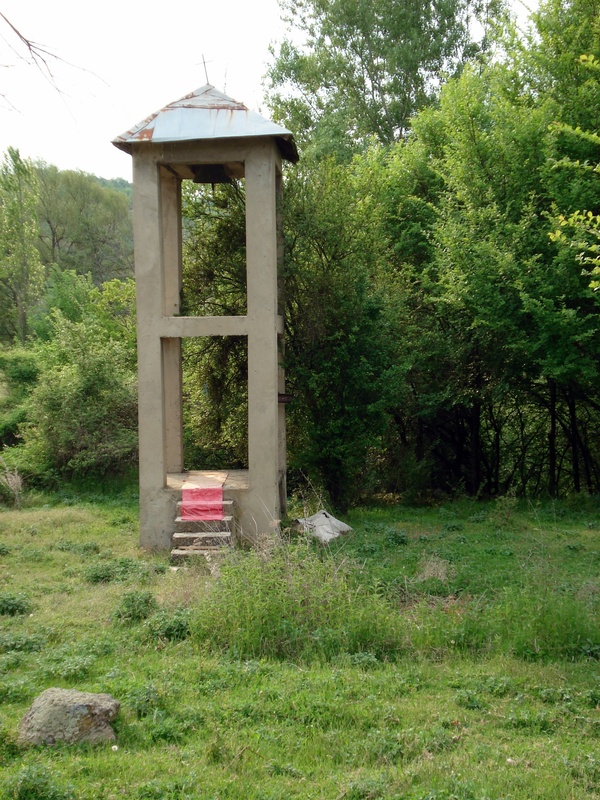 The ASNOM Memorial Park is dedicated to the first session of ASNOM, Anti-Fascist Assembly for the National Liberation of Macedonia (АСНОМ, Антифашистичко собрание за народно ослободување на Македонија) held at the Prohor Pchinski Monastery (Манастирот Св. 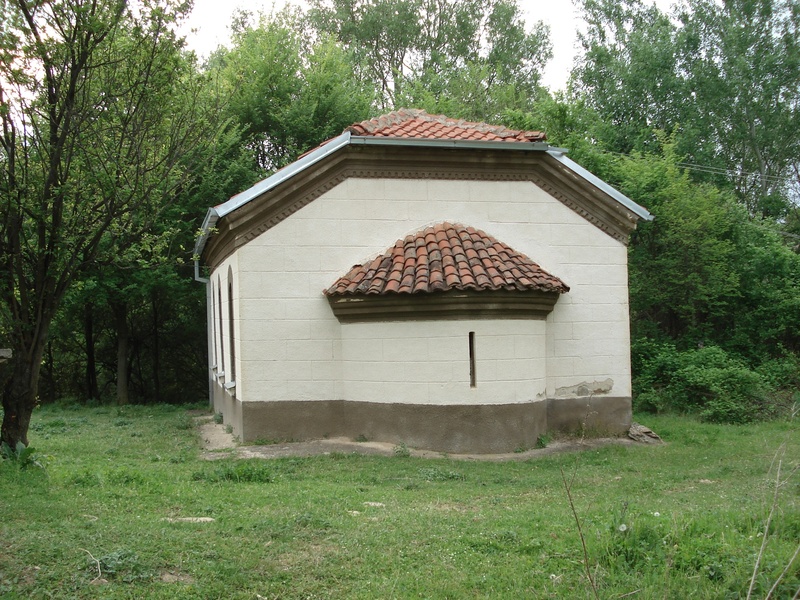 Прохор Пчински) on 2 August 1944.